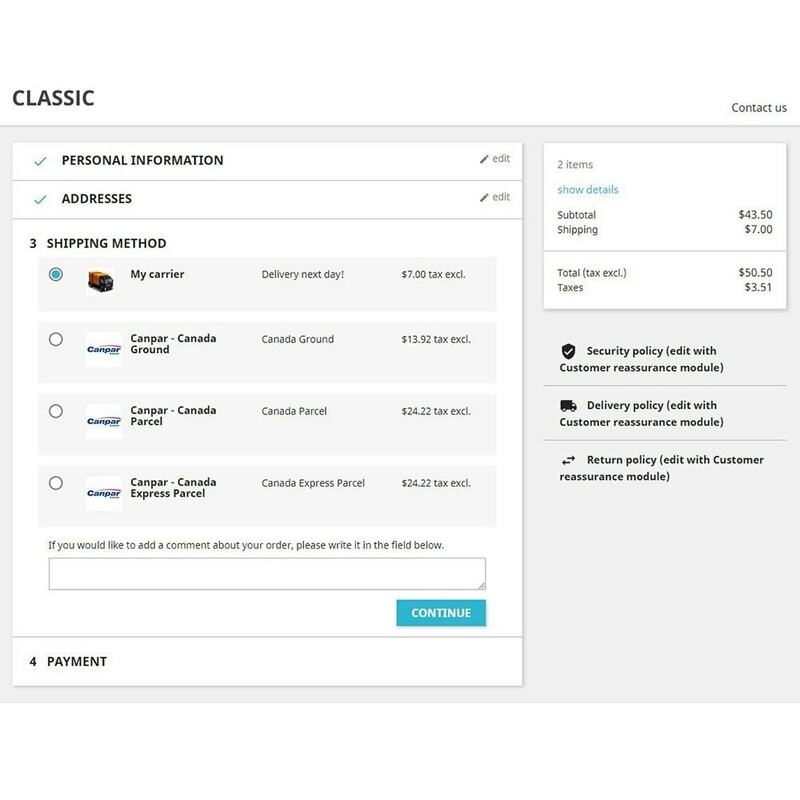 Allows Canpar customers to display real-time discounted rates to customers and generate/print Canpar barcode labels from their Prestashop back-offices. 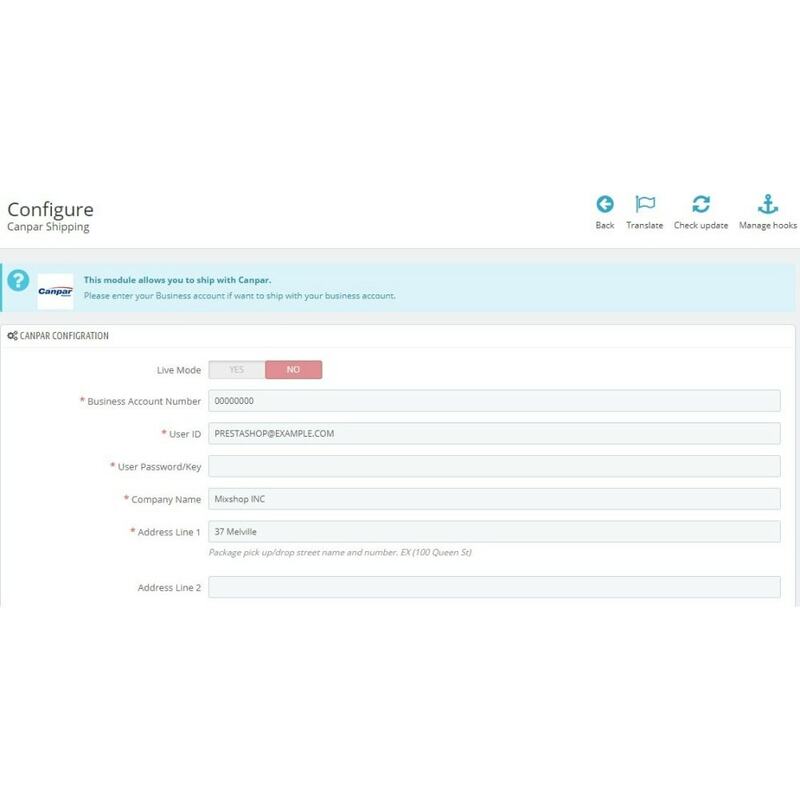 No more copy and pasting addresses into separate apps, this module automatically retrieves all customer information and product dimensions. No need to pay a monthly fee for a shipping service. Save money by offering accurate and discounted real-time dynamic rates to customers. Save hours of time by printing labels in one click. Display real-time rates for Canpar to customers on the cart/checkout page. Your negotiated/discounted rates will show. The module installs the carriers into your back-office for you. Accurate rates. Rates will be calculated using the package sizes that you enter into the module. Fast Labels. Click "Generate Label" and print the PNG for an order. It only takes one click. 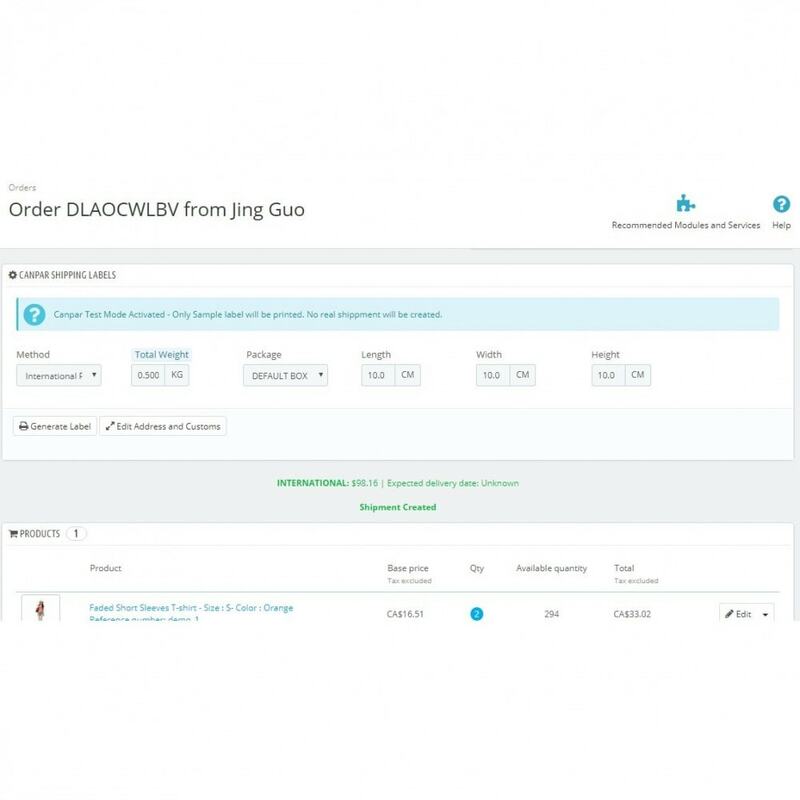 Store all your package sizes in the built-in package manager; the module chooses the best size for each order based on the products ordered. 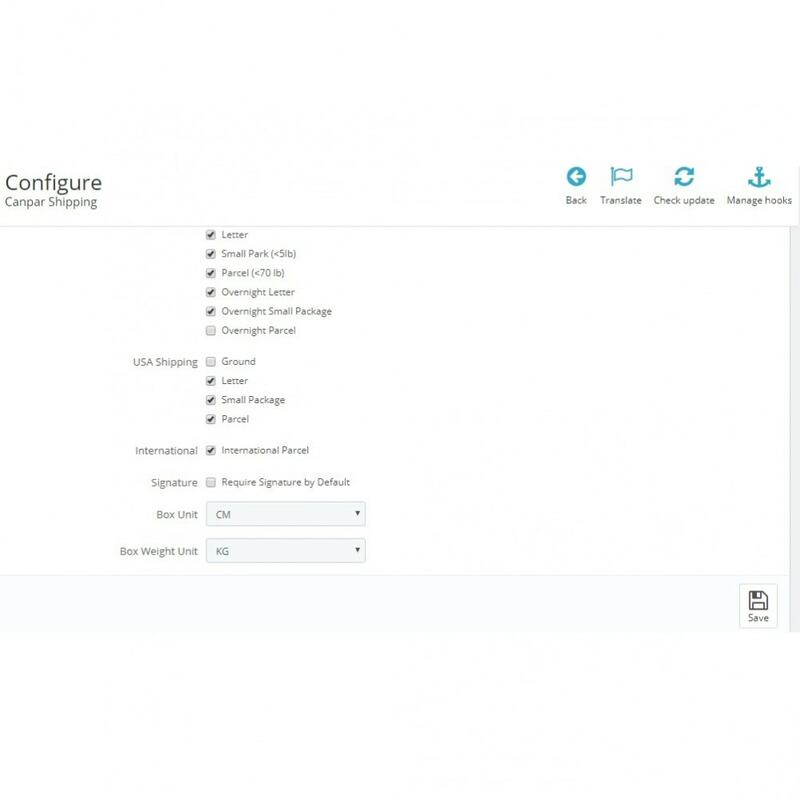 View real-time dynamic rates from Canpar before you click generate. Ability to perform test shipments to check and see if everything is working. You can void shipment from Admin Backoffice. 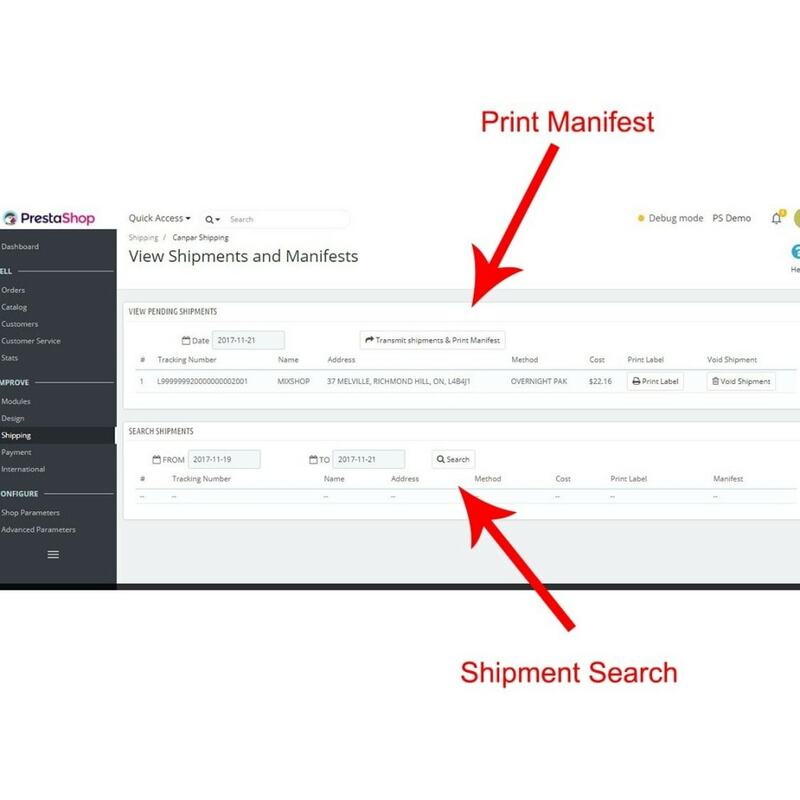 You can print manifest from Admin Backoffice. Extremely easy to set up. 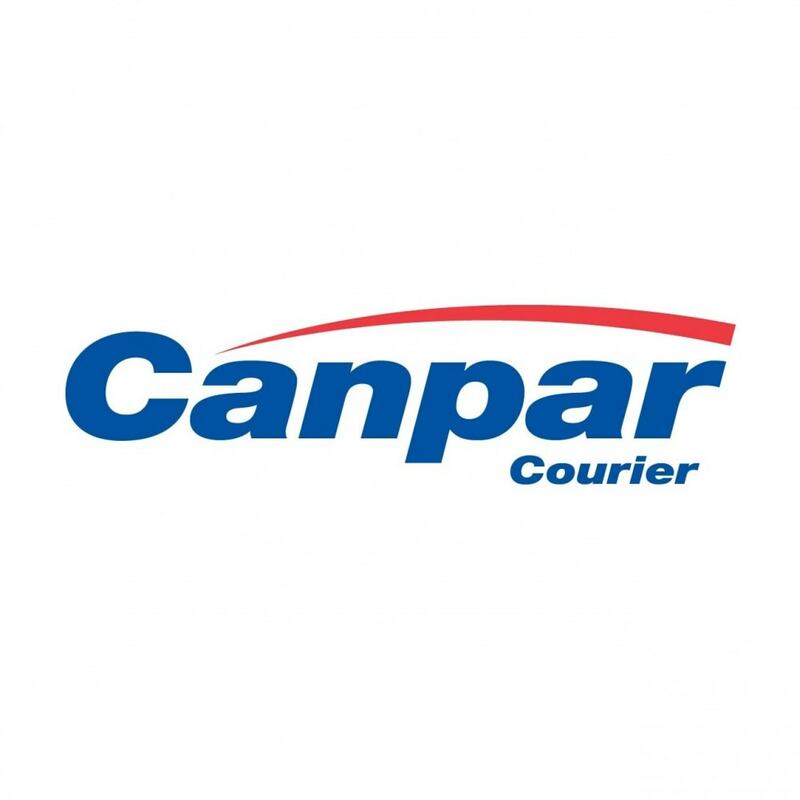 The module will link you to the Canpar account by entering your Canpar account number and login info.